Posted on 18/05/2018 at 08:37. Hiking the Great Wall of China with kids can be challenging, especially for children 3-5 years old. Many parents fear about safety on the trail. But the good news is, families can minimize many risks by following some simple guidelines when hiking with kids. And you’ll be sure to have a fun and safe journey along the Wall. 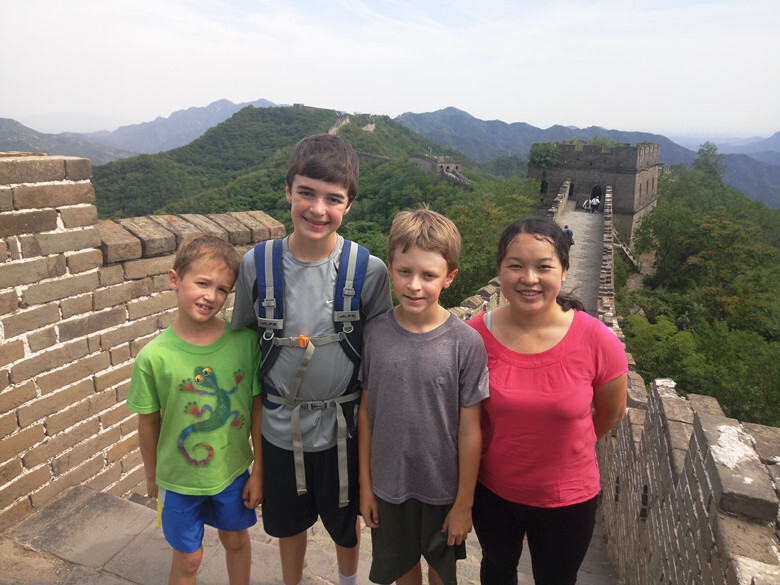 Here are eight tips for safety on the Great Wall hiking adventures with kids. 1. Set Realistic Hiking Goals. 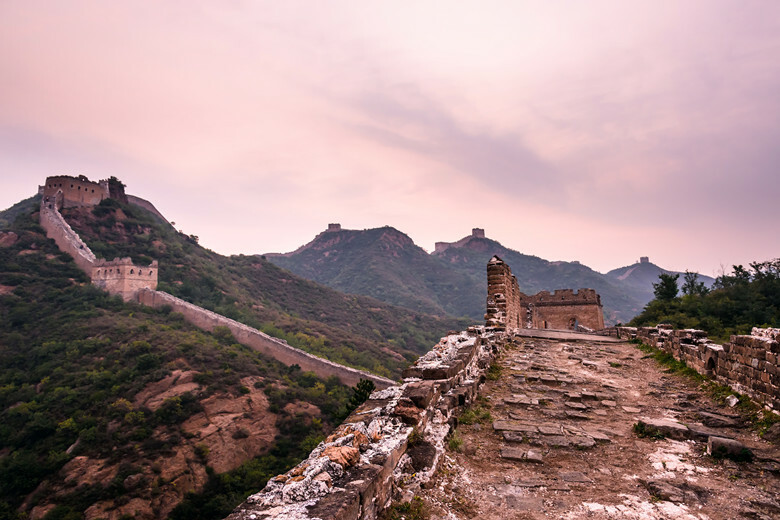 There are a wide range of Great Wall hikes available, from one day hikes to multi day hikes. But when you’re starting out, pick one that isn’t especially long or strenuous. This is especially important when you have small children. You can easily see some of the best features of the wall in 3-5 hours of hiking (approx. 7-8 km) with generous breaks worked in. An easy or moderate day hike is suitable for beginners and children. 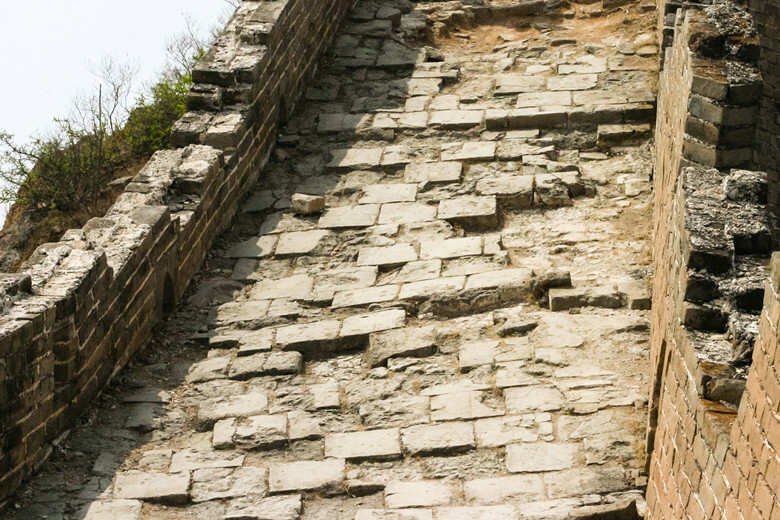 The Great Wall is a vast structure and many sections are available for adventurous hikers. In Jinshanlng, the trail is well formed and easy to follow but there are some places where you must walk on vertical steps, rugged terrain or through broken towers. It’s a good safety precaution teach your kids to stay in sight at all times, and keep your kids in your line of sight. If your kid is the slow one, try to make sure you can still see him / her. If your kid is the fast one, try to look over your shoulder every so often to make sure he / she is in sight. 3. Choose Trail Forks Together. When you get to a junction or place where the trail divides, make sure the whole family is on the same page about where you’re going next. In Jiankou, the trail up to the Wall is not as simple as you might think, the hardest thing could be finding the right trail up to the start point on the wall. It’s a a good idea to stop at all trail junctions to wait for the rest of the family, and to stay on the trail. 4. Stay On Marked Trails. Many sections of the Wall are unrestored and in rural areas. These places are well worth visiting, but it can be easy to get turned around here. Gubeikou is one of the most well-known strategic pass, and the hilly trail is hard to follow as part of Gubeikou is officially closed. Stick closely to marked trails as other trails lead to nothing, and only confuse you. 5. Think About First Aid. Accidents can happen and it’s always good to be prepared, especially when you’re hiking. You might find yourself a few kilometers away from medical services, so it’s well worth bringing a first aid kit with you. Make sure you know how to use all of the components. 6. Save ‘Hide and Seek’ For Your Hotel Room. Because the Great Wall is so large and in some places incompletely restored, it can be easy for children to get briefly lost. Warn them not to play ‘hide and seek’ here. What clothing should you bring? Lots of layers! Depending on when you visit, the weather can be blisteringly hot, quite chilly, windy, or have rain showers that seem to come from nowhere. Prepare for anything; layers like windbreakers can be really helpful. Finally, when you’re hiking for kilometers on hard stone, it’s vital that everyone has properly fitted and comfortable shoes. These could range from sandals to boots, depending on where you’re going. Hiking takes a lot of energy, especially for small children. To prevent exhaustion and meltdowns, take frequent breaks. Bring snacks and drinks along with you. Each child should have a small backpack. A small first aid kit, some snacks and water is a good start.